A ground deformation map by NASA's ARIA programme. Image courtesy of ARIA. 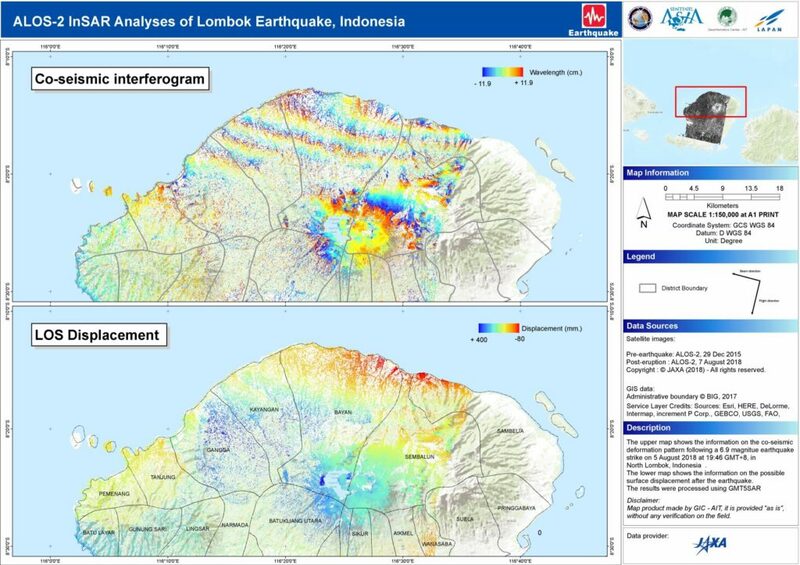 In July and August this year, the Indonesian island of Lombok was hit by a series of high intensity earthquakes that also affected other islands in Lombok’s province, West Nusa Tenggara. At least five of them (including foreshocks, aftershocks and mainshocks) were 5.9-magnitude (5.9M) or higher. The worst of these occurred on 5 August at 6.9M and on 19 August at 7M, caused by two separate faults, according to ReliefWeb. The number of casualties remains unclear, although ReliefWeb states that at least 555 people have been confirmed dead, more than 7,757 injured, 390,500 displaced, and 80,5000 houses damaged. Throughout the crisis, the Indonesian government declared a state of emergency which lasted more than 3 weeks. Due to the damaged infrastructure, Lombok experienced a near-complete communications blackout, which also affected the neighbouring island of Bali due to landslides caused by tremors. All communication has been restored, and although the recovery process is still ongoing, most of Lombok has returned to daily life. Satellites play an especially important role during disasters like the Lombok earthquakes and the recent Typhoon Manghkut, which hit the Philippines, Hong Kong, Macau, Taiwan and China, and has only just dissipated. Communications satellites present the only option when land-based infrastructure and regular telecommunications services are disrupted, and satellite imagery taken from Earth Observation satellites are the only means to have a bird’s eye view of the crisis. In the case of Lombok, international and regional disaster charters were activated immediately after the 6.9M earthquake that shook the island and its surroundings on Sunday, 5 August. 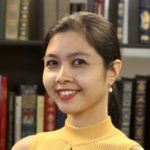 These charters and their affiliated organizations then provided satellite imagery to Indonesia through its space agency LAPAN, so that these images could be analyzed to give an accurate picture of the situation on the ground. The International Charter “Space and Major Disasters” (known as the Disasters Charter), initiated by the European Space Agency (ESA) and French space agency CNES, was activated on Monday, 6 August. The request was made by the Asian Disaster Reduction Center (ADRC) based in Japan, on behalf of Indonesia’s space agency LAPAN. The Disasters Charter collected satellite imagery from its Charter Members comprising government bodies (mostly space agencies), as well as its Charter Partners such as Airbus, Digital Globe, and the European Union’s Copernicus programme, which makes satellite data freely available. Also invoked was Sentinel Asia, a regional initiative by the Asia Pacific Regional Space Agency Forum (APRSAF) in which various space, disaster, and environment agencies collaborate for disaster management and mitigation purposes. Sentinel Asia utilizes data from satellites owned by its member organisations; these satellites include ALOS (Japan), IRS (India), THEOS (Thailand), KOMPSAT (Korea), and others. Sentinel Asia also obtains images and data sets from outside the region, such as NASA’s Landsat programme and the US National Geospatial-Intelligence Agency. Once the satellites images had been received, multiple domestic and regional organizations began working on analyzing pre- and post-disaster images to help disaster rescue and relief operations. The Disasters Charter images, obtained by ADRC, were distributed to LAPAN as well as the Geoinformatics Center of the Asian Institute of Technology (GIC), based in Thailand, which was the project manager for the Disasters Charter for Lombok. GIC, along with other organizations, then began organizing the data from all the different satellites. The example below shows two maps produced by GIC, developed out of satellite imagery from JAXA’s satellite ALOR-2. 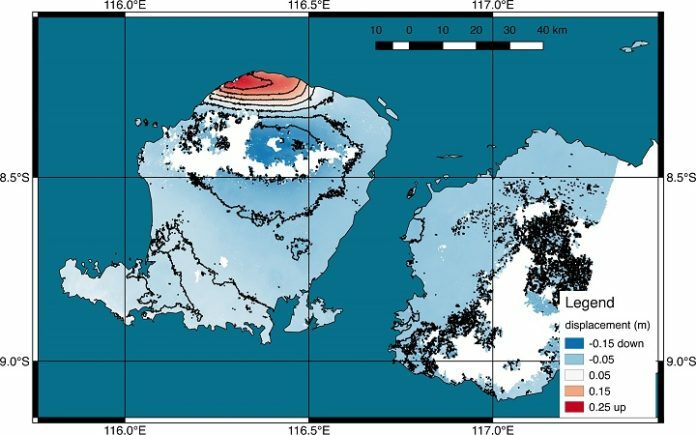 The maps show the co-seismic deformation pattern after the earthquake (above), as well as possible surface displacement (below). Image courtesy of the Asian Institute of Technology. 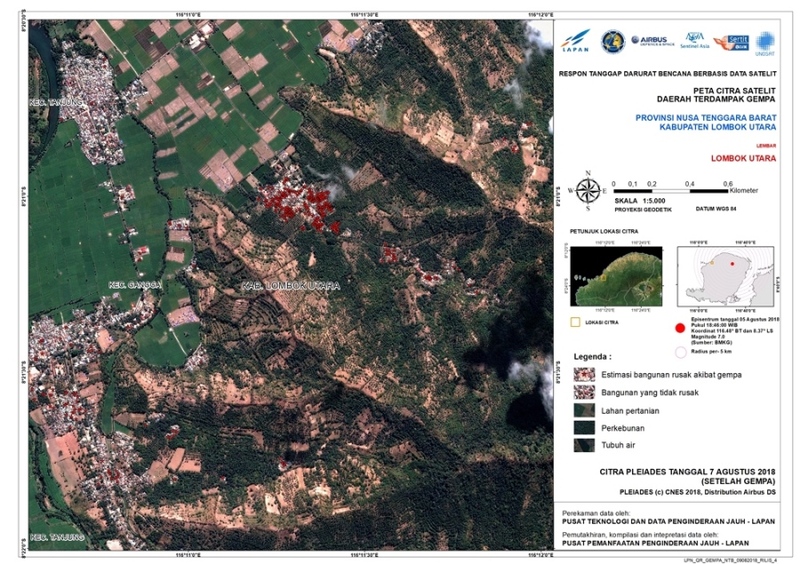 Other organisations who worked on geospatial products for rescue operations included Indonesia’s Gadjah Mada University, the United Nations Institute for Training and Research (UNITAR//UNOSAT), Copernicus Emergency Management Service (EMS), LAPAN, and France’s Service Régional de Traitement d’Image et de Télédétection. One of the ways most important ways in which satellite imagery aided rescue efforts was to assess the severity on the damage across Lombok and its neighbouring islands, and to identify possible areas for the relocation and settlement of displaced peoples. To do this, LAPAN used high-resolution satellite imagery from Airbus satellites Spot 6 and Spot 7, German space agency DLR’s TerraSAR-X, and ESA’s Sentinel constellation. The pre-earthquake and post-earthquake images were compared to identify the areas affected, including marking the buildings which were damaged and the buildings that remained structurally sound. A map of North Lombok, marking buildings as either damaged/undamaged. Image courtesy of LAPAN. Infrastructure damage severely affected communications in Lombok and the surrounding areas. 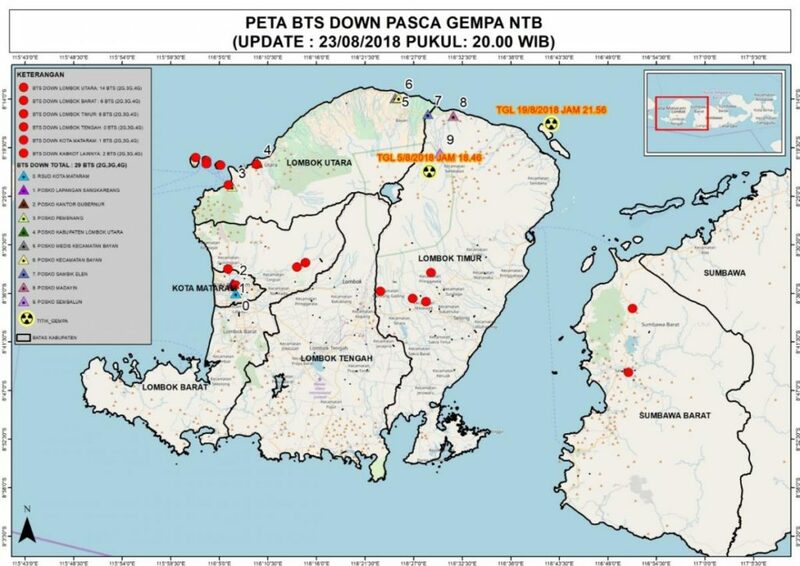 According to reports from Indonesia’s Ministry of Communication and Information Technology (Kominfo), more than 642 base transceiver stations (BTS) were unusable of the 6149 in Lombok as of 20 August, and altogether more than 1200 (including other parts of the province of West Nusa Tenggara and Bali) were damaged. The BTS situation on 20 August, with the red dots showing damaged stations. Image courtesy of Kominfo. Work on the base stations began almost immediately by government personnel. Additionally, Indonesian satellite and telecom operators were activated due to a regulatory clause in their Standard Operation Procedure (SOP), which requires all operators to provide infrastructure and telecommunications support during a crisis. Companies involved included Telkom, Telkomsel, Indosat Oreedoo, XL Axiata, Smart Fren, and H3i. 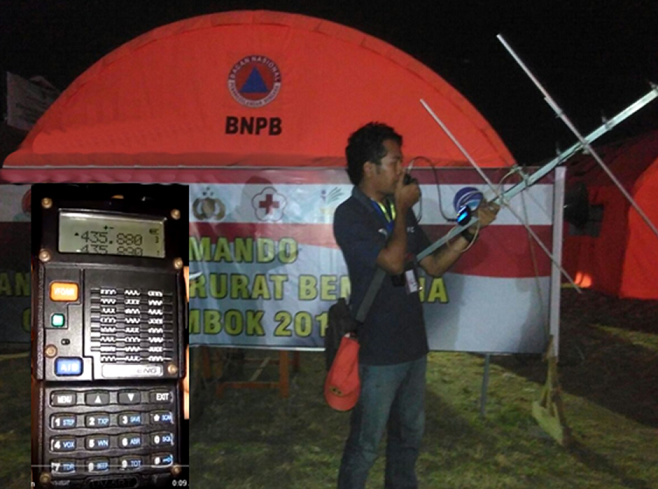 Meanwhile, Kominfo relied on satellite communications and distributed 19 VSAT terminals, which were placed throughout the region, as well as 50 satellite phones. Of these, 5 were given to the Disaster Management Office, 11 to military logistics, and 34 to local governments. If you have enjoyed reading this article, do take a moment to subscribe to our email newsletter here. We will not sell your email address to a third party, and you can unsubscribe at any time. Separately, LAPAN made use of its microsatellite LAPAN-A2 (also known as LAPAN-ORARI), which carries a Voice Repeater for amateur radio communication. The satellite has, throughout its lifetime, been used by amateur radio operators on a regular basis and has garnered a community of enthusiasts both within Indonesia and in countries such as India and Brazil. When the crisis hit, LAPAN’s satellite centre called for volunteers to support relief efforts, including in instructing personnel how to use amateur radio communications. Within 24 hours, more than 70 volunteers signed up. 19 additional repeaters were installed throughout the island and Dual Band Walkie Talkies were set to receive at a frequency of 435.880 MHz, and to transmit at a frequency of 145.880 MHz. A LAPAN-ORARI member in Lombok. Image courtesy of Lapansat. Communications BTS were fully restored by Tuesday, 28 August, resulting in 100% health of 2G, 3G, and 5G networks. The BTS situation on 23 August, showing almost 100% restoration. Image courtesy of Kominfo. 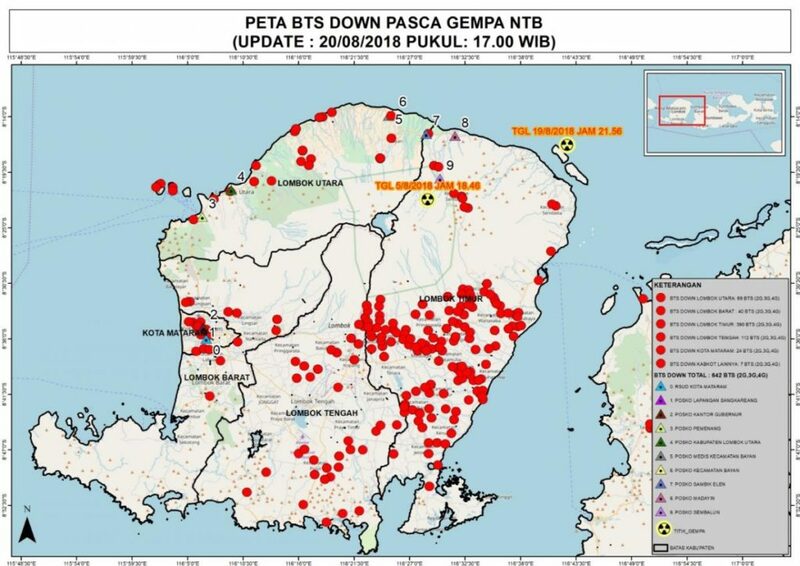 Now that life in West Nusa Tenggara is slowly getting back to normal, satellites still have a role – satellite images continue to provide stakeholders with a tool for researching and understanding the earthquakes, and the fault lines that caused them. Earth Observation will also be used to speed up recovery efforts, such as in reviving Lombok as a popular tourist destination, and in town planning purposes. Satellite communications, meanwhile, remain a necessity in Indonesia altogether because of its vast number of islands spread out across a huge territory.